The first thing to understand about contract management is that it doesn’t just entail awarding and managing contracts. Contracts form part of every business and the more you have, the less risk you’re exposed to. That’s why you need to have good management processes in place to manage every contract in your business. 1. Where are your contracts? 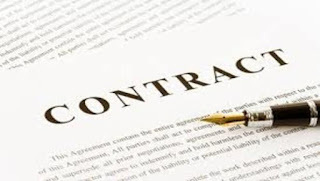 The majority of B2B suppliers will insist on contracts being agreed. To avoid your business being on the losing end of contractual obligations, the process needs managed. You must know and fully understand the terms you’re agreeing to when you enter a legally binding contract. That’s a rule to live by in business. There’s always some wiggle room and it’s the entire reason for part of the duties procurement officers do day in, day out. Assess, identify and negotiate. They need to review all the terms, understand them and find the areas within the contracts that need revised to improve those terms. Moreover, better terms are most often ripe for the picking. You don’t get if you don’t ask. When you’re negotiating contracts, you cannot be in the mindset of scrounging for every saving you can. Savings are all well and good but never at the expense of a positive working relationship. One of the worst things for contract management is to have one party feel unjust due to extravagant terms. What can start out as a standard RFP (Request for Proposal) can have numerous bids, the most attractive ones will be analysed, scrutinised and all too often sabotaged. 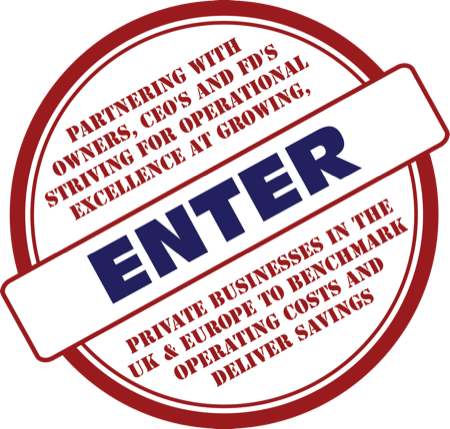 When suppliers are keen to jump aboard and partner with you, in particular the smaller sized firms, often the owners are looking for security of finance, rather than good terms. The result is that they don’t have the capacity to understand the entire scope of works being agreed to until it’s too late. They find themselves bending over backwards for too little remuneration in comparison to the efforts put forth. Next thing you know, the quality of service declines, and it’s affecting your customers. That’s the price of cheap sourcing. Don’t look for best pricing. Focus on best value. You won’t get a great discussion going into negotiating terms of agreements between two parties without the relationship first. When RFPs are first put out, the focus should be on building relationships with suppliers first because often is the case, that’s a representation of how your working relationship will be, possibly for years to come. If that rapport isn’t there, the working relationship will be poor. That’s just to start with because the contracts will come up for renewal. When you get to that stage, it’s best to be on good terms with a supplier who gets your business, understands it, and works closely with you to enhance your customer’s experience. Changing suppliers doesn’t help customer service in the short-term but sometimes, things don’t go to plan, negotiations break down and you find yourself beginning the tendering process over. The management of contracts is never done. As long as they’re in place, they need managed and so do the people and companies involved. For contract management purposes, there are four ways to assess risk to business finance, and the legal responsibilities or ramifications of commercial contracts. Most businesses will be familiar with the SWOT analysis to assess threats and use that for their internal and external risk assessments. However, when there are changes to the economy, the political landscape cannot be ignored. Take for example the UK’s exit from the EU. That’s politics affecting businesses of all sizes. That brings legal compliance issues into the risk assessments, and by adding in the issue of ethics for CSR policies, the STEEPLE analysis is the more in-depth option for a comprehensive risk assessment. Manage your contracts and you’ll be better placed to manage risk within your business, thus preventing complications further down the line. Without contract management, risk management would be impossible. Do You Need To Transform Your Procurement Process?